Sadiq Hazdovic is without a doubt one of the most decorated, iconic, and celebrated IFBB Pro League Men’s Physique champions of all time. This simply cannot be argued, much less refuted. His approach to training, nutrition, and executing perfect posing on stage, has caught everyone’s eye, including that of 3x Mr. Olympia Frank Zane. In fact, Zane gave Sadik a compliment that made the rounds throughout the bodybuilding press, stating the young champion had the physique most like his own. The photos of the two champions created a fantastic amount of nostalgia and excitement (for the future), unlike anything I’ve ever witnessed. Sadik was on fire, from gracing the cover of all the big magazines, to winning the Arnold MPD in 2015, and boasting of two back-to-back Olympia runner-up finishes. So what happened? He opted to move up to Classic Physique, at the constant urging of fans, and seemed poised to pay his dues and go all the way. His debut year showed promise, breaking into the Olympia MPD Top 5, but by his second year, a respectable 7th place finish and the 5lb increase in size of Classic competitors, proved too much. Sadik left the Classic World and has announced a return to Men’s Physique, with the 2019 Arnold Classic being his first contest back in the division. This seems like great news and I’m totally behind him, but there’s a great interview that Sadik did recently, that is a major reason this article was written. First and foremost, I loved the interview. The interviewer was very knowledgeable and I felt Sadik really opened up. I appreciate his candor, even if I don’t think he’s got his feet 100% planted in reality. While he did recognize that Classic Physique got a lot bigger and that that was an issue for him, despite his great condition, I think me miscalculated the ease with which he’ll return to Men’s Physique in 2019. He did point out that the MPD guys were bigger, but also said he could win the 2019 Arnold, which I think is a bit ambitious given his lengthy absence. Nonetheless, he did only say he might win, it’s not like he said he would win. That’s still a pretty bold statement, considering that he intends to use the Arnold as an early qualification for the Olympia. This is the Arnold Classic we’re talking about here, not the Mr. Maple St. I think his decision to pick this contest, for that purpose, given how high the stakes are, was a mistake. I will say, I was just a tiny bit miffed that when asked who were “names to watch,” who were the “main guys,” Sadik said he didn’t want to leave anyone out, but after naming all the names he could think of, he left out King George Brown. George Brown, a Columbus native, has earned a series of Pro titles, placing as high as 2nd at the Arnold Classic. In fact, Brown’s 2nd place was to none other than current Men’s Physique Olympia champion Brandon Hendrickson. I had George beating Brandon that year and I have to say that was one of the closest calls I’ve ever seen. Nonetheless, Brown’s name didn’t come up when asked about “main guys” at the 2019 Arnold. When the interviewer brought up Brown’s name, referencing the Hendrickson/Ferguson feud at the Olympia press conference, that might have been a great opportunity to retroactively include Brown as a “main guy,” but neither Sadik nor the interviewer did. I think that’s a HUGE miscalculation, right there. In terms of the current landscape, Sadik insists his decision to return to MPD has nothing to do with Jeremy Buendia’s recent retirement, but I always thought Sadik (at his best) could beat Jeremy (at his best), nonetheless, Sadik had to answer that question by speaking to this point. The truth of the matter is, even if Sadik went all the way to top, people would try to take away some of the glory by saying Jeremy is absent. That’s going to happen no matter what. Sadik’s return could also prompt other comebacks, particularly that of legendary champion Mark Anthony, who I spoke with at the NY Pro. Anthony, believed, that in order for Jeremy to be the undisputed best, he had to beat him first; something which may never happen. A Mark Anthony return would certainly be something that would turn the MPD world upside down. In the end, comebacks are great because they could potentially throw the whole pecking order out of whack. Fans love excitement and they love to see battles on the stage. 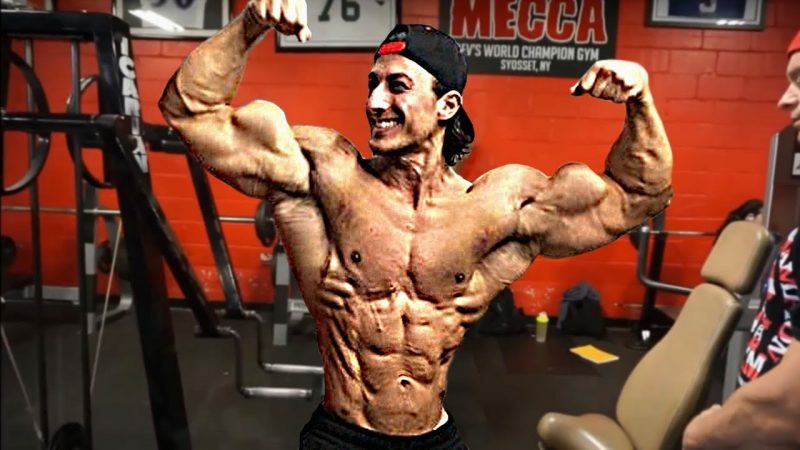 We all know that Sadik has a near-perfect physique, so it’s not a question of muscle. Condition is really where I think a lot of the outcome will rest. Sadik claims he’ll look his best at 200-205, but that seems a bit heavy to me. I guess we’ll see come the Arnold. If he can come in dialed-in, then he’s definitely going to be Top 6, but winning the contest? Let’s not forget the Arnold is second only to the Mr. Olympia; I tend to doubt anyone who claims they can win, especially someone who’s been absent from an ever-changing division and coming back from another one. If Hazdovic finishes outside the Top 6, that could seriously curtail his Olympia aspirations and damage his perception with the fans. Not only that, but his sponsors might not appreciate it, either. Sponsors who pay the big bucks, expect top placings. The truth of the matter is that I’m glad Sadik is back and I wish him the best. I have no doubt that he’ll do very well, but I think it’s going to take some time before he’s back to his 2015 greatness in MPD. 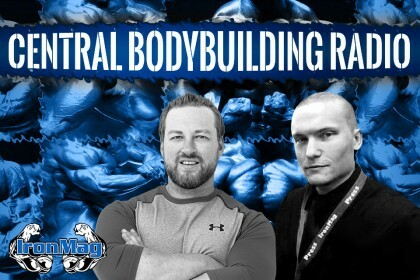 Further, I would be very careful overlooking very dangerous veterans like George Brown, who I predict will win the Arnold Classic MPD every year – and 2019 won’t be any different! There are also other notable MPD competitors who I don’t think Sadik can defeat his first show back to the division after years absent. As long as he finishes 7th or better, he’ll be ok, but I’m not a fan of hasty decisions, and I really don’t think the Arnold Classic should ever be considered an easy way to get an Olympia qualification; that sort of assumption almost begs for a wake-up call. 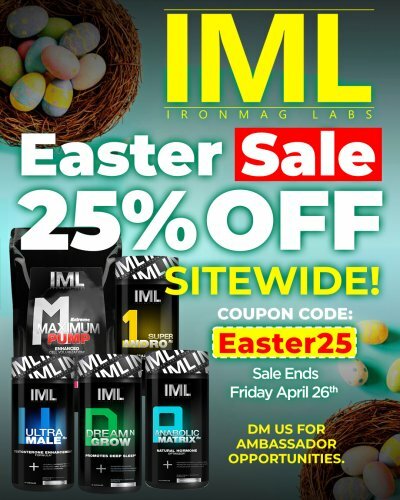 I hope you enjoyed reading this article at Iron Magazine and look forward to reading your comments. 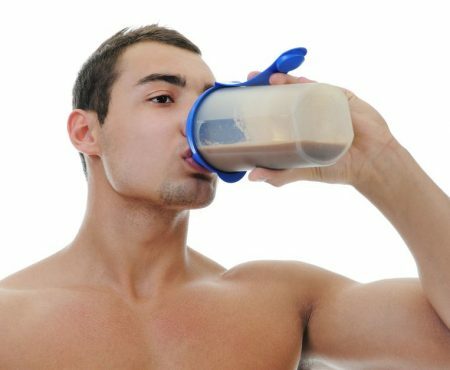 Should You Buy a Mass Gainer or Make Your Own?